What does a healthy lifestyle look like? If you’ve made it this far, it’s likely you’ve had enough of something in your life. Whether that something be the number on the scales, the fact your clothes no longer fit you, how you look in the mirror, comments people make about you, the way you feel, or something else altogether. This time, you’re motivated to do something different in the hope of experiencing a different outcome. Well done for making it to this point. We hope that by reading this piece, your motivation to make positive changes to your lifestyle is enhanced and that you pick and choose from these ideas and you can gradually introduce them into your life. As they say, “if you fail to prepare, you should prepare to fail.” Here’s your chance to begin a constantly evolving lifestyle plan to help you enjoy every day and get the most out of your life. What is crucial initially, is that you don’t bite off more than you can chew. 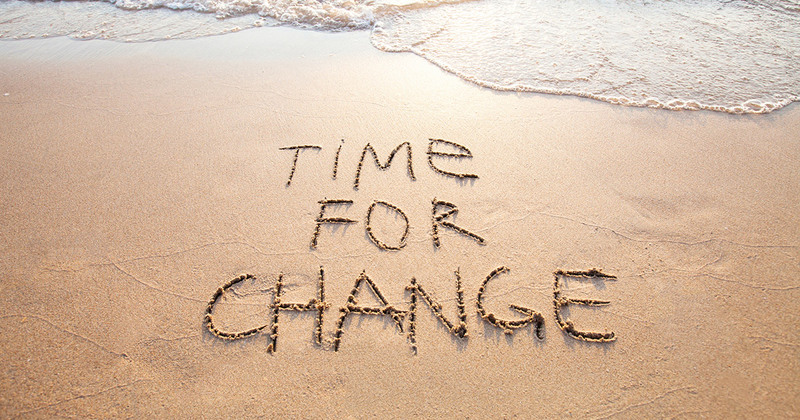 Make one or two changes to begin with and then once you feel comfortable with that, add a couple more and so on. Building a healthy lifestyle is all about making small changes that are sustainable in the long term. It’s a marathon, not a sprint. Now for the most important part of the equation – what is your reason for wanting to create a healthy lifestyle? Is it to feel better? To lose weight? To look better? To be healthier? To be a better example for your children? To be fitter? To live longer? It’s imperative you know exactly why you want to make these changes to your lifestyle and that this reason motivates you to your core, especially when your ‘why’ is under scrutiny (in times of stress, lack of sleep or loss of routine, for example). This comes first because in a lot of situations, it’s your first domino. Nail this and a lot of other aspects fall into place. 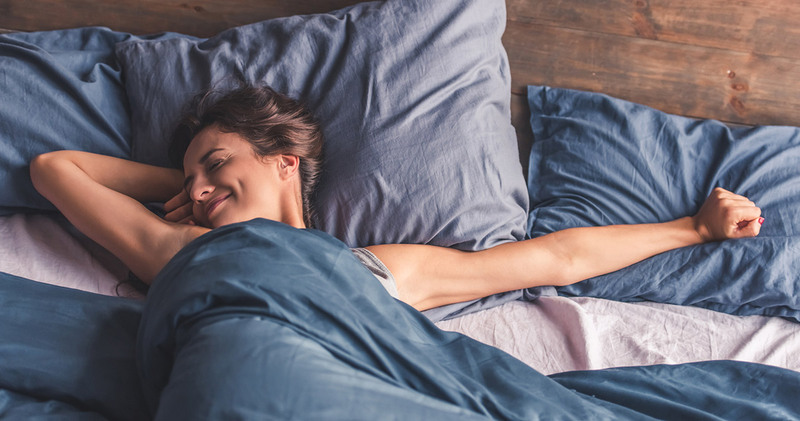 While we’re all different when it comes to the amount of sleep we require to be at our best during the day, seven to nine hours a night is an accepted norm. Understand how much you need and do your best to protect this requirement by organizing your commitments accordingly. Begin your bedtime routine an hour before the time you actually need to be sleeping. If that’s turning all the lights off, brushing your teeth, getting into your pyjamas and reading a book, then give yourself the time to wind down before your head actually hits the pillow. 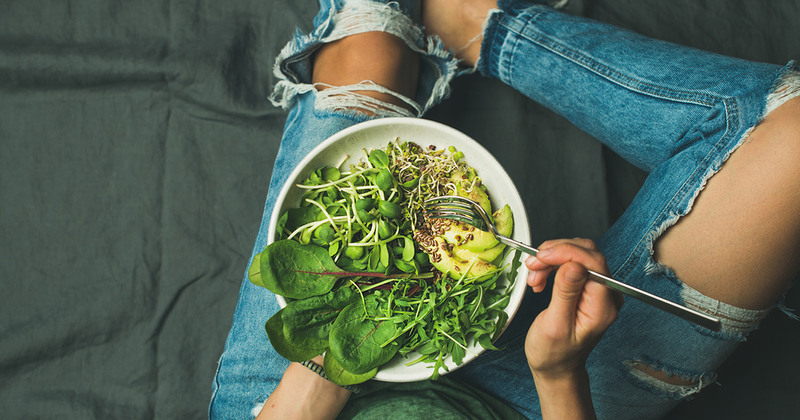 Green leafy vegetables (broccoli, spinach, kale, Brussel sprouts, cabbage, lettuce, bok choy, asparagus and watercress) are a great start to any meal. The wider variety of colours you have on your plate, the more likely you are to ingest a wider range of nutrients. Steaming or frying these in coconut oil will ensure the produce maintains much of its nutrients. Having these in your diet five days a week should be the minimum to keep you ticking along. If you take sugar with your coffee, ask yourself whether you can do without the sugar or even the coffee for the day? Controversial, I know. The more you give yourself over to your new way of living, the more you’ll realise that artificial highs such as caffeine aren’t necessary for you to ‘get through’ the morning. One of the more difficult situations to handle is the morning tea treat that may well present itself in an office environment courtesy of someone’s birthday, a reward or thank you to your team or a team meeting that requires a snack. These snacks usually include cakes and savories filled with sugar or carbohydrates. Do you have a plan for avoiding these? Do you like to keep quiet about your healthy food choices, or do you prefer to let your team know about the lifestyle changes you’re making? An alternative morning tea snack is a handful of almonds or a piece of fruit. What about the rest of the day, I hear you ask? 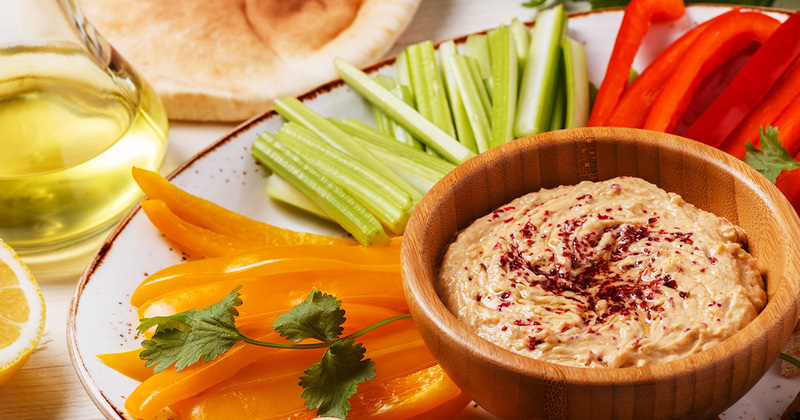 What about celery or carrots and dipped in hummus? Sliced apple and peanut butter? Dried fruit and nuts? And, in the evening, after your dinner when your sweet tooth is crying out for ice cream or cake. What then? Busy yourself with an activity. Whether it be reading a book, television, Netflix, life admin or washing, your improved nutrition plan should ensure you have enough nutrients for the day, so these cravings are nothing more than your brain playing tricks on you. Oh yeah, and drink plenty of water! Is there a type of exercise that you’ve enjoyed in the past? Walking, running, skipping, swimming, cycling, sports, gym workouts, aerobics, marching, yoga, stretching, even gardening. There are many options available to keep active. The most important aspect here is the mentality you bring to your exercise. Ideally, it’s not a chore but an enjoyable occasion. If that means you invite a friend to make it a social occasion too, then by all means do whatever it takes to get you outside, inhaling fresh air and experiencing the endorphins that our body releases when we are active. The feeling of satisfaction after completing a work out of some variety is hard to beat. It’s also addictive. Variety is key to ensuring you don’t get bored, so change it up as much as you can. If your chosen exercise is walking, then change your route, search Google Maps to find new unchartered parks or mountain walks to keep you entertained. And, change your company so that you’re seeing as many friends as possible. I can’t think of a better way to catch up on the comings and goings of your friends’ lives than sweating it out together in open air. What about the winter months when it’s wet and cold outside? Find space, even in your lounge and search YouTube for a bodyweight work out regime or a yoga class. It’s worth it. Stress is a reality of life. Whether it be work-related, financial or relationship-based, it’s inevitable. Therefore, having a plan for how you can deal with it will stand you in good stead for being able to deal with its after-effects. If meditation isn’t for you, then exercise is a great alternative such as walking, hiking, yoga, strength training, watching a movie, reading a book or talking with a trusted friend or loved one. You can take a proactive approach by giving yourself set time each day for your own wellness, whether that be exercise, meditation, yoga or simply just a few minutes of deep breathing, it’s all going to help keep you calm when there’s mayhem all around you. At least you’re giving yourself a better chance of navigating your way through the haze without too many slip ups. And, if you do slip up, don’t judge yourself harshly, just remember that it’s just another opportunity to learn from. Setting time aside to connect with friends and family is great for your health. As they say, ‘a problem shared is a problem halved.’ Socialising with friends can boost feelings of well-being and decrease feelings of depression. It is also associated with a stronger immune system meaning you’re better equipped to deal with nasty bugs floating around. The feeling of sharing a meaningful conversation or experience with someone you trust and respect is special. These relationships need time and care, so make time to maintain them. Life is full of unforeseen twists and turns and you never know what life event may mean you don’t have immediate access to them in person. If distance is an issue, thankfully we now have various social media apps that allow video calling. This is a list of things that you may not often hear or read about when it comes to making changes to your lifestyle, but they are incredibly important nonetheless. Pay attention to the language you use when thinking or talking to others. If you’re focused on staying off something completely ‘forever’, then the moment you break your word, the floodgates will open. Try to identify what could have caused you to make that decision (lack of sleep, stress etc), learn from it and be better next time. This is all great learning for you as you add to your toolbox to deal with the challenges of a busy schedule. Remember how important cycles can be. The less sleep you get, the more likely you are to sleep late in the morning. The less time you have to prepare your breakfast and lunch may lead to you grabbing cheap and unhealthy options. This can cause you to feel low on energy and tired, which can contribute to another poor decision when it comes to your nutrition later in the day. The outcome of a healthy lifestyle can be seen in your energy levels, complexion, brightness of the eyes, shiny hair or just a general glow that surrounds you, like an aura. Once you see or feel these positive changes or receive the feedback that you’re looking great, this should encourage you to continue along your pathway to a better version of yourself. If you’re experiencing some internal discontent (this is your ego talking) with these changes to your lifestyle and wonder how long you’re going to have to live like this for, then remember your why and ask yourself how long you’d like to feel great for? Try not to look too far ahead. Take it one meal or one day at a time. It’s more manageable that way. Routine is crucial. Building a pattern of behavior up over a long period of time will make it easier for you to sustain your healthy lifestyle. Remember, Rome wasn’t built in a day. So, if you do step outside your plan, you can get back on track just as quickly. Continue to prioritise what is important to you in your life and it should allow you to navigate your way through any challenging twists and turns in the road. You begin enjoying healthy food: it tastes better and better without the influence of high-calorie foods such as carbohydrates or sugars on your pallet. View food as fuel: as your healthy choices begin to bed into a routine, you’ll feel the benefits and realise the impact of both good and bad nutrition based on how you feel, and your mood. You become more adventurous with healthy food. The more goodness you try, the more interested you’ll become in trying alternative options that may not have presented themselves to you in the past. Gherkin in a salad was a surprising delight for me the other day. No more guilt for choosing the unhealthy option: as your choices change, you’ll begin to realise just how good it feels not to worry about that snap decision you made to head to McDonald’s. Without the negative reminder every time you burp, you’ll be surprised how positive life feels. 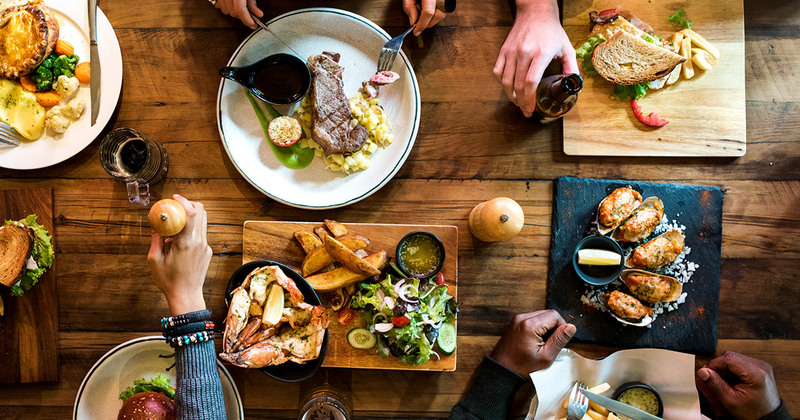 Cheat meals once or twice a month: you might find you have less interest in your all-time favourite meals because of how they make you feel, but still allow yourself to indulge in moderation. Two meals a month isn’t going to have a significant impact but it allows you to work your lifestyle into your social life. While everyone likes meeting up with friends and family for dinner, this ensures you won’t be that difficult person who requires a ‘special’ meal. Priorities change for the better: you begin to focus on how you feel and how your body looks as opposed to being so focused on satisfying a craving or getting a taste you’ve longed for. Your choices rub off on others: I took immense satisfaction when I received a Snapchat from a teammate of mine a couple of weeks ago. He wasn’t showing me how drunk he was at 2am; instead he was dipping some celery into a tub of hummus while on the couch at home. He was the last person I was expecting to see this from, but I guess that’s the power a healthy lifestyle can have on those impressionable people around you. Tools to deal with temptation: the more you say no to the unhealthy options, the better you get at it. It’s almost like you’re forming a new habit in saying ‘no, thanks.’ The planning process is crucial in being able to say no. If you’re well prepared and have either eaten a nutritious meal or snack or have one with you ready to go, it’s so much easier to pass up those spur of the moment opportunities that crop up. In taking the healthy option more often, you’ll also be more aware of which shops are health-friendly and which options are the best for you to take with you out of the house in case you have been unorganized or are in a rush. Energy: it will sound odd to someone who isn’t exercising regularly but exercise actually gives you energy. The extra lift you have in the evening after exercising during the day allows you to get one or two extra things done before bed. Whether that enables you to do the washing, dishes, vacuuming, read a book or whatever, it really is a pleasant outcome from simply getting out and about and moving. Everyday chores get easier: taking the stairs or picking items up off the floor become so much easier when you’ve lost a couple of pounds and your body is full of the endorphins that come with exercise. You begin to feel you can achieve more. Confidence increases: as above, as you take on more and more challenges, you realise that the comfort zone you had once placed yourself in is now far too small for you. Watching yourself grow can be an invigorating experience, as can the feedback you receive from others regarding your progress. Let the positive energy spur you on to bigger and better things. Take on challenges like races or events or hikes: once upon a time, walking to the shop seemed like a marathon, now you might be considering taking on that 5/10/20 km fun run. The beautiful mountains in the distance that have always captured your eye are now no longer just there for show. You begin to think how long it might take you to hike to the top. Be inspired to change other areas of your life: if your diet and exercise is having such a positive impact on your life, you might begin to look at how other areas of your life can be altered to help you be your best self – sleep, alcohol, smoking, work/life balance are a few examples. General health improvements: the impact of exercise on your general wellbeing is immense. Diabetes, heart disease, high cholesterol, anxiety and depression are all kept at bay through exercise as are some types of cancer. Appreciate your body: when you can see the changes in shape that your body is experiencing, it’s like getting a second wind of encouragement (as if the consistent energy levels and mood wasn’t good enough already). Showing your children a healthy example: any parent will know that they become a role model by default as soon as little ones arrive on the scene. If you’re setting the tone with nutrition and exercise, your children see first-hand the benefits to your energy and mood. Some ideas to help you along your path to a healthier you. Pick and choose a couple of things that you can change or add to your current routine. Start small and build some momentum with those little changes and you’ll be encouraged to add a couple more in time, when you feel you’re ready. Keep us abreast of how you’re travelling with this; the ups and downs you face along the way. It’s a long race but the slow and steady movers will win. The benefits are life-changing!